the Website, or email info@CUREepilepsy.org. The first quadrennial (international | independent | interstitial) festival, focusing on artists who are accelerating evolution by mixing genre, format and medium, defying categorization and drawing from or creating personal/social/political "in-betweens." Programming includes performance, installation, video, print, multi-media, inter-media, and digital works from around the globe. Participating artists include Mark Mothersbaugh of Devo, Qubo Gas, The Vegetable Orchestra of Vienna, NEEN, Johanna Vaude, and Jad Fair. Through March 2. 7-11 p.m. Suggested donation $10 at the door. For more info regarding the festival and to view a full list of participating artists, visit the Website. Aaron Christensen will be at The Book Cellar to talk about his book Horror 101: The A-List of Horror Films and Monster Movies. Free. 7pm. 4736-8 N. Lincoln Ave. Call 773-293-2665 for more information. Two women dance elaborately around their own blind spots, a preacher puppet sells his soul in the depths of a Louisiana swamp, in a post-industrial, post-paradise fall from grace, and seven (a divine number?) figures celebrate the miracle of plastic. Through March 2. Tickets are $15, or $8 for students. 8 p.m. 3435 N. Sheffield. Reservations through the Links Hall box office at 773-281-0824. Abstract painting. Working observationally in and outside of the studio, Hoffman abstractly represents moments encountered and objects perceived from her experience. Witte is interested in how active individual visual experiences can be created through the partial obfuscation or distortion of seemingly recognizable imagery. 5:30-9 p.m. 542 West Grant Place. For more info, visit the Website. With tickets starting at $26 each, yes, it's a little pricier than the usual night at the movies. And no, you probably won't get a jumbo tub-o popcorn. But how many times do you get to watch one of the greatest films ever made on the big screen while a Grammy Award winning orchestra plays along? Exactly. Buster Keaton's The General , a silent comedy about a man, a girl, and an engine, will be accompanied by the Chicago Symphony Orchestra playing an orchestral score drawn from the original cue sheets. 8pm at The Symphony Center, 220 S. Michigan Ave. Buy tickets here. The North Shore Distillery will be hosting a free tasting at the new Binny's South Loop location this Friday from 5:00 pm to 8:00 pm. Visit their website for more information. Formerly Chicago-based Foundation Gallery brings its group show Off-Register, a collection of screenprints by international artists and graphic designers, to the AV-aerie, 2000 W. Fulton, tonight through March 15. Tonight's opening reception features music from The Gutterbutter DJs and Never Enough Hope. $5 admission, doors open at 7pm. Celebrate Leap Day with the most dynamic dance show in town! Some of Chicago's best dance companies join Old Town School friends and faculty for this fusion of contemporary, world, and folk dance stylings. Don't miss it! $18. 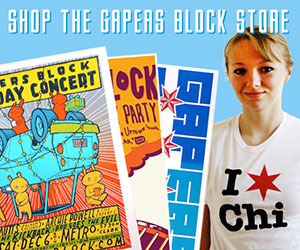 8 p.m. 4544 N. Lincoln Ave. For more info, call 773-728-6000 or visit the Website. Chances are your iPod is still churning out goodness from the Junior Boys' So This Is Goodbye, and for good reason - it's a solid effort that has held up for all occasions. But on Friday, see the boys drop their tunes where they can have most effect - on the floor at Smart Bar. Locals Popstatic will play second fiddle, er, turntable, and Mother Hubbard warms up her home turf for the guests. Tickets are 10 dollars, or free before 11PM - so don't tally too long at the metal show upstairs. 21+; doors and show at 10PM. GB Get-Together - Board Games! 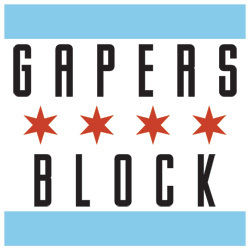 Join the staff of Gapers Block for some Leap Day fun at our monthly GB Get-Together at Black Rock, 3614 N. Damen. We'll be in the back room from 9pm to midnight, playing board games and celebrating the 366th day. Don't fret! Dolly Parton has postponed the start of her Backwoods Barbie tour, but will honor tickets for her previous dates. She'll now come to Chicago to perform at the Chicago Theatre 5/8 and 5/9. Details in Transmission. Conference on Torture, Law, and War Torture, Law, and War: What are the moral and legal boundaries on the use of coercion in interrogation? In conjunction with the University of Chicago Law School’s year-long Law and Philosophy Workshop focused on coercion, the Law School is hosting a conference to draw speakers from a variety of disciplines together. Recent events combined with shifts in government policy have reopened questions about how much and what kinds of coercion are appropriately used in the interrogation and detention of suspected criminals, enemy combatants, and accomplices. For the sake of protecting security and pursuing justice, some have urged we reexamine the usefulness and broad prohibitions of torture. Yet some basic questions about torture and coercive interrogation in particular are also in need of answer: How should we define torture? What can we learn from history about it? What are its effects on the tortured, on those who torture, and on societies in which it occurs? What should the law say about it? For more information click here or contact scott[dot]anderson[at]uchicago[dot]edu, (773) 702-0678. This conference is free and open to the public. Registration is not required. Garry Wills will be at the Seminary Co-op Bookstore to talk about his new book What the Gospels Meant. Free. 6pm. 5757 S. University Ave. Call 773-752-4381 for more information. Check out interstitial art at the I^3 Festival, put on by I^3 Productions, 11 W. Illinois, 4th Floor. Participating artists include Mark Mothersbaugh, Qubo Gas, Neen, Lusid, Johanna Vaude, and Jad Fair. The festival runs today through March 2; check the site for hours. An evening of dancing, cocktails and hors d’oeuvres, all to celebrate the important conservation work being conducted by Lincoln Park Zoo. Hosted by the Lincoln Park Zoo Auxiliary Board. 8 p.m.-12 a.m. 2021 N. Stockton Dr. $75 in advance or $600 for a group of ten. For tickets, call 312-742-2163 or reserve online.